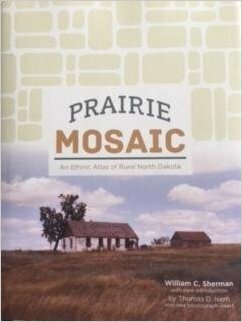 Browse Chester Fritz Library's 2016-2017 Books by UND Authors. Titles on North Dakota topics appear below. Click on the Green navigation tabs for other books. Click on the arrows (or swipe on your device) to see other titles in a section. William Caraher is an Associate Professor in History. His Ph.D. from Ohio State University is in ancient history. He has directed archaeological projects in Cyprus and worked extensively in Greece. Check out his online The Bakken guide. This book captures a fascinating moment in the history of North Dakota and sheds light on the impact of oil on local communities, illustrating how North Dakotans have found ways to address the challenges they face in a turbulent, changing environment. The Bakken Goes Boom: Oil and the Changing Geographies of Western North Dakota is also available on The Digital Press. David Haeselin is an English Lecturer/Instructor at UND. This twentieth anniversary of the Red River Flood of 1997, which devastated the town of Grand Forks, North Dakota and surrounding areas, gives a new generation of Grand Forksers and Red River valley citizens the occasion to look backward so that they can look forward. Taking stock of how the city and its people have changed in these last twenty years offers us a new chance to envision the future of Grand Forks and the Red River Valley. What’s more, we hope that this book can extend the lessons learned through the recovery to others coping with their own unique disasters. Haunted by Waters can also be found on The Digital Press. Father William C. Sherman received a Master of Arts Degree in Sociology from the University of North Dakota. May 2014, he was awarded an Honorary Doctorate by the UND. Father Sherman taught Sociology of the Great Plains and Religion at NDSU from 1971 to 2001. He was Pastor of St. Michael Catholic Church at Grand Forks from 1976 to 2003. Father William C. Sherman is a well-known and celebrated North Dakota scholar and educator. His genuine interest in sociology, architecture and anthropological studies enabled him to create numerous works which highlight the unique and complex history of North Dakota inhabitants. The subjects of his special attention is the early development of pioneer settlements primarily in central and western North Dakota. Anne Mullins is an Associate Professor at the School of Law. Mullins' scholarship focuses on judicial writing and judicial decision-making, topics that she presents on nationwide. Mullins earned her J.D., with honors, from the University of Chicago Law School, and practiced law at Susman Godfrey LLP, a national trial boutique where she represented clients in complex commercial cases. Tammy R. P. Oltz is an Assistant Professor at the School of Law. Oltz earned her J.D. from Harvard Law School and her research is broadly focused on issues of racial, sexual, and socio-economic equality. 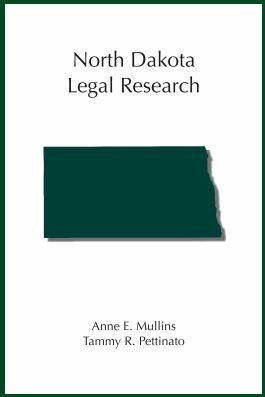 North Dakota Legal Research is accessible to practitioners and students alike, a definitive 'how to' manual on finding cases, statutes, administrative regulations, court rules, and legislative history in North Dakota. It also includes a general overview of the research process and valuable tips on how to approach a new research question. Specific topics include Oil & Gas Law, Indian Law, federal law, and secondary sources. John Bluemle was employed by the North Dakota Geological Survey from 1962-2004, and until about 1987, most of his work involved field mapping. Bluemle mapped the geology of 23 of North Dakota’s 53 counties. The North Dakota State Industrial Commission appointed Bluemle the State Geologist in 1990, a capacity he fulfilled until he retired in 2004. He received his PhD in Geology from UND in 1972. North Dakota's Geologic Legacy is the story of the landscape why it looks like it does and how it formed. The book is designed for the physical and the armchair traveler. Most of the features portrayed can be seen from the road. The shape of the land, the geologic materials, the processes that shaped them, the length of time involved in their formation all of these comprise a fascinating puzzle. Kimberly K. Porter received her Ph.D. from the University of Iowa in 1995, studying under the direction of Dr. Ellis Hawley. She has been at the University of North Dakota since 1996 and focuses her attention on United States history, particularly the 1877-1945 era. Accordingly, she teaches courses in the Gilded Age and Progressive Era, as well as the New Era and the New Deal. Dr. Porter also teaches the History of North Dakota course. With regard to research, she focuses her work on matters related to rural/agricultural history and oral history. She currently edits The Oral History Review, the journal of record for the English-speaking oral history community. Dr. Porter is currently engaged in researching/writing a biography of Henry Field, an Iowa-based entrepreneur who sold everything from wallpaper to wedding rings, seed corn to spotted hogs , and garden seed to gasoline. Along the way, he started one of the first privately held radio stations west of the Mississippi River, unsuccessfully ran for Congress, and urged Americans to thoughtfully consider what was being lost with the urbanization of their nation. 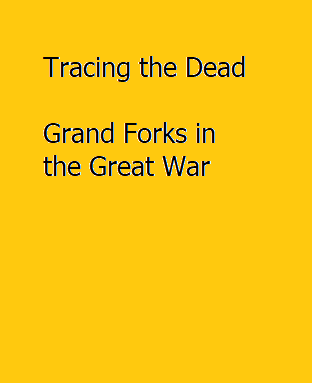 For Tracing the Dead, the History 399 class performed the research in spring 2015. Editing and printing completed by Kim Porter in spring 2016.